All told, the research firm estimates the market for DIY intrusion alarm equipment totaled $60 million worldwide in 2016. The popularity of do-it-yourself (DIY) security systems is on the rise owing to their low cost, easy installation and smartphone-enabled operation. DENVER — The Americas is by far the largest market for DIY security alarms and is expected to grow at a compound annual growth rate (CAGR) of more than 20% during the next five years, according to IHS Markit. In 2016, the global market for DIY security equipment reached $60 million, of which 85% was vended in the Americas. 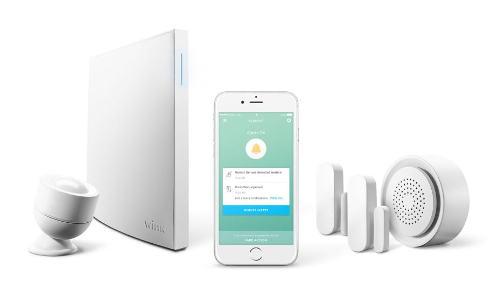 In recent years, the residential security market has seen an influx of DIY intrusion alarm system providers from Internet service providers and consumer electronics companies, such as Ring and Nest, the latest such providers to offer DIY security systems. Self-install systems have no installation costs and can be set up fairly quickly. Equipment usually comes pre-configured, and often only requires a basic understanding of wireless technology. And end users are becoming more tech savvy thanks to the increasing availability of how-to video tutorials on intruder alarm system installation. Alarms can be monitored through a dedicated smartphone application, bringing the costs down to zero while also freeing users from lengthy monitoring contracts. Professional monitoring contract options for DIY systems often come at a lower price than contracts for professionally installed systems. Also, with the growing availability of pay-as-you-go monitoring, users can opt to have the alarm monitored only a few months a year, further reducing the overall annual cost of monitoring. In some cases, the cameras used in DIY systems are more affordable when compared to those offered as part of a professional package. In certain DIY systems, cameras can also be offered at a discounted rate if the user opts out of alarm monitoring services for the camera. DIY end users also have more options available to them, as they can choose from a wide range of consumer devices. With professionally installed systems, usually only one type of pre-selected camera is offered. This limits the end user’s choice to accepting the supplier’s camera or not having a camera in the system. Very often, equipment is interoperable with a wide range of commercially available video cameras, voice speakers or video doorbells, and allows for virtually unlimited expansion and customization. Professional security systems also allow for expansion, but the services of a professional installer may be required to integrate some of the devices, and advanced features are often turned off when a service contract ends. This means that a customer may still be able to arm and disarm the security sensors for a local alarm, but any advanced automation features will not be available to non-active subscriber accounts. To compete with the growing popularity of DIY systems, Sliwon suggests professional security installers should look to work more closely with remote monitoring companies to provide flexible monitoring contracts and solutions to their customers. “Service providers could also add more equipment types to their security platforms to help make them more versatile and customizable. Service providers that expand their portfolio to include indoor and outdoor cameras, video doorbells and energy saving devices such as thermostats will be in a better position to compete against DIY systems,” she writes. 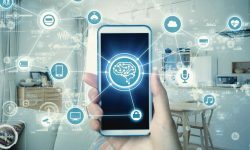 A more open ecosystem approach could also be beneficial for service providers, as this would allow the addition of a wider variety of equipment types outside the manufacturer’s own brand, including widely available smart home devices. IFTTT (if this, then that) technology could help to enhance integration possibilities with automation devices such as light bulbs, smart plugs and other non-life safety devices, resulting in an enhanced user experience with intruder alarm systems. Professional security equipment providers can also focus on commercial consumers whose installations can number anywhere from a dozen to hundreds of sensors per installation. 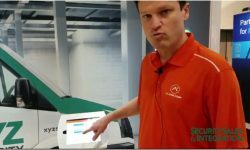 Some professional security companies have already released their own DIY systems that come with the quality assurance of a leading provider and security grading while offering similar benefits as DIY systems currently available in the market. 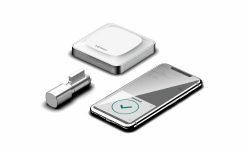 These include Honeywell with its DIY Smart Home (to launch on the Indiegogo digital marketplace), Bosch’s Smart Home and Nortek’s partnership with Samsung and ADT. Support for higher power with PoE opens more opportunities. Learn how.